Because fall is the season for pumpkin desserts, I'm reminded of the absolutely amazing pumpkin kouign amann that I had last year at Belinda Leong's b.patisserie in San Francisco. 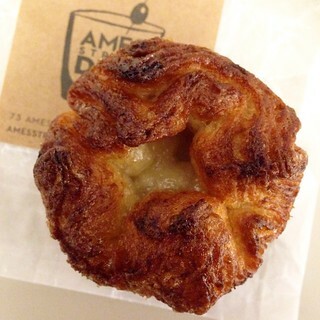 In the first place, I love kouign amann. 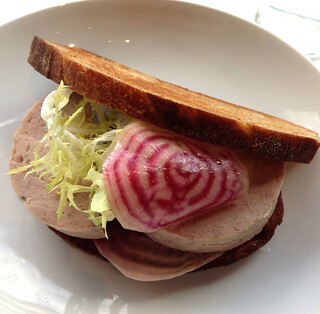 It's better than a sweet croissant (well, maybe). It's better than a cronut (yes, I had the real thing). 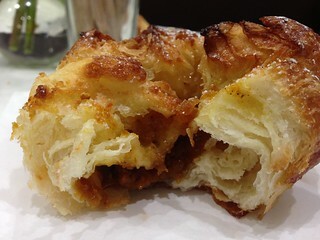 It's a pastry folded with butter and sugar and baked until the sugar caramelizes. 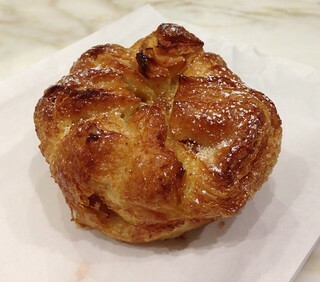 Secondly, the kouign amann at B Patisserie is really, really good. It's better than Dominique Ansel's DKA, if I can be so bold to say so. Top all that off with the fact that sometimes you'll find seasonal fillings. Like pumpkin. Like delicious, creamy pumpkin filling.